An 1804-acre state park is a member of the Mason Neck Cooperative Management Area. 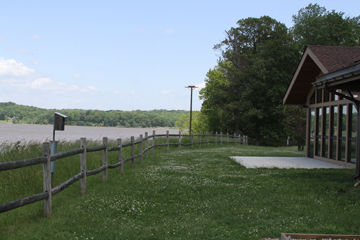 The park offers interpretive programs, hiking trails, a modern visitors center, and extensive picnic areas. An environmental education center has programs for schools, and the park is popular for birdwatching and eagle counts. Mason Neck charges a parking fee. Mason Neck State Park is part of the "Find Your Chesapeake" project of the National Park Service and the Chesapeake Conservancy. Click here for details.